Concept books usually help readers learn numbers or shapes or colors. They are often meant for toddlers and preschool children learning about those subjects. Recently, I have noticed a different type of concept book with topics like love, peace, empowerment, bravery, empathy and more. These big ideas are sometimes hard to define. Some are meant for older readers who can discuss intangible ideas. They are poems with lyrical language and low word count. We often know the concept by the title. They impart advice and/or truths about our world. They take the intangible and make it specific. They leave room for the illustrator. If you are a writer only, studying these texts alone will help you see just how much they left up to the illustrator. Most of them are written to specifically address the reader. Most are in second person point of view. Some directly address the reader, while in others, the you is implied. Each offers hope in a complicated world. In an homage to Martin Luther King, this poem talks to directly to the reader by encouraging them to "Be a King" through taking action. The text of this is very simple but really allows the illustrator to bring in extra layers. It's all about ways a kid reader can be brave. An series of epistolary stanzas that talk directly to girls. Girl empowerment is at its heart. This book gives the reader advice about life, but it talks about the ups and downs of life within the context of nature. While the illustrations show a lovely relationship between a duck and a little girl, the words carry much deeper meaning. This is the only one on my list by an author-illustrator. 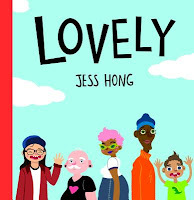 Most of the sentences are really short, often only one word, but this book is empowering and challenges the reader to think about what is lovely in an inclusive way. This book encourages the reader by reassuring them that even though we see a lot of bad in the world, most people are good people. 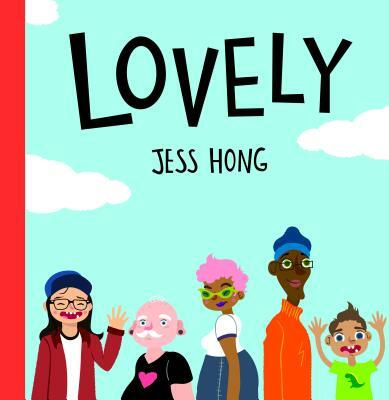 Peace is a big concept but this book illustrates that it's not just out there in the world and something we wish for, but it's in the everyday ways we live our lives. This is a book that really addresses the what-ifs and whys about figuring out who you really are. It's a book that doesn't shy away from questions that don't always have easy answers. 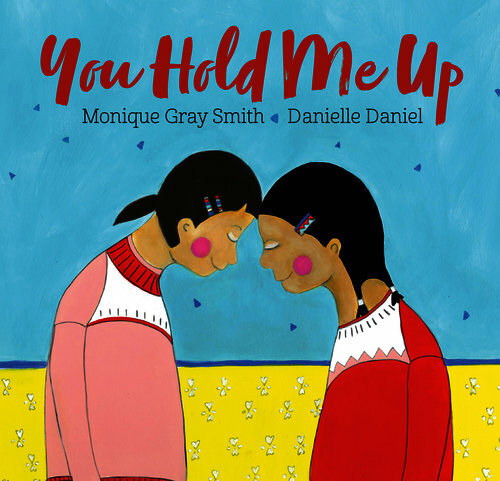 Reconciliation and love are the themes of this book recognizing the harm done to the people of First Nations in Canada. Written by a Canadian author of Cree, Lakota, and Scottish descent, this book seeks to start the healing process. 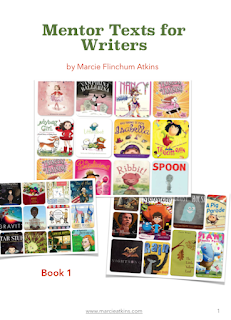 Marcie is giving away two copies of her Mentor Texts for Writers Ebook. To be eligible for prizes throughout the challenge, you must comment on each post, be registered by March 4, and consistently ready picture books during the challenge. This post really makes me focus on bigger themes. Thanks, Marcie. I'm delighted there's been an expanded reach of concept books in terms of topic and audience. 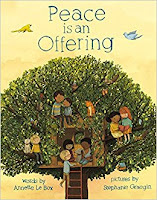 When a concept book can convey meaningful messages like the ones featured as mentor texts in this post, then the benefit Marcie mentions about offering "hope in a complicated world" can impact readers and listeners of all ages. Many thanks for sharing this powerful reminder! Thanks for reading! I do love these kinds of books that provide hope. I love how big themes can resonate with few words. Thank you, Marcie! This is a powerful post with powerful mentor texts that are full of hope. Thank you Marcie. ooooh! I so needed this post.....my writing group and I were talking about this very concept last night. Thank you! So glad to hear this!!! We must get together soon! As writers we need to take on big themes and bring "hope in a complicated world". Thank you for a wonderful list of mentor texts. I've read a couple from this list - Brave and Why am i me? and am looking forward to reading more. Thanks, Marcie. Yay! And I was limited to only 10, so there are many more out there. Happy reading! 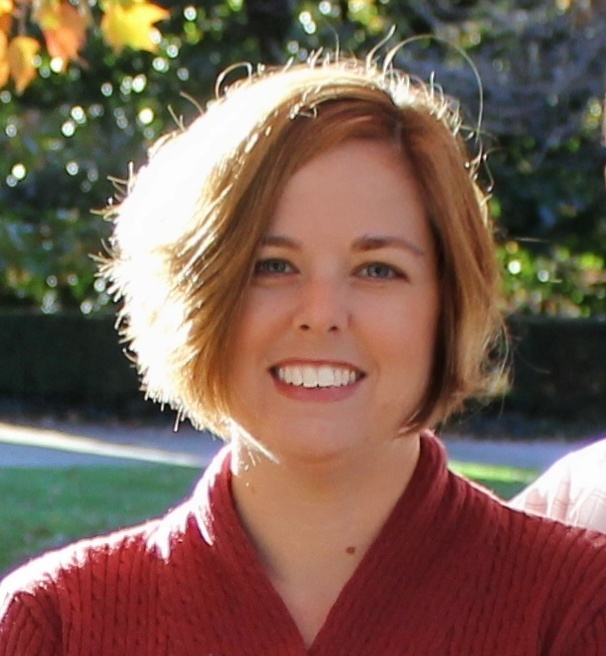 Marcie, as usual, the educator/librarian comes to the fore in this instructive post. I love how you've grouped the similarities in these texts so we can take a crack of writing our own concept book. I came ups/an idea back during gStoru story, and this post will help me. TY. Yay! Hope to see you IRL soon, Kathy! I haven't tried writing a big idea concept PB, but I love the lyrical language in the ones I've read. Me too! They are pure poetry! Great choices. These are all new to me. Looking forward to studying the sparse & lyrical language. Yes! You will enjoy them! Marcie, THANK YOU for the specifics. I love that you shared not just the mentor texts but also what they have in common--what we can look for. That is super useful. I've been paying close attention to the surge of these kinds of books, too. Very interesting, and some of them just bring me to tears. I love the ones that do it in an honest way without being sappy. So hard to find that balance. I so agree! That balance is key! So helpful in helping me expand my thinking on what a concept book can be! Hi Marcie, thanks for these alternate concept books. I have a concept book in mind and have had a BIG challenge in just how to write it. I'm going to use a couple of these titles as my mentor text! Thanks again. Marcie, as a writer I gravitate toward these types of books. I'm especially curious about those that tackle tougher subjects (looking forward to checking out Most People and You Hold Me Up, which are new to me). Also curious to see how these are pitched. Thanks for the great list of mentor texts. I love how this selection of books tackles life’s COMPLEX issues with SIMPLE, yet beautiful language. BE A KING in particular gave me goose-bumps, it is so inspiring. Thanks, Marcie! I agree! I loved this tribute to Dr. King. So many books have been written about him, but this one was a fresh new spin (in a good way!). I love LIFE. So simple but I can see it being used for therapy for kids as it is a story of hope. Thanks for your post! Waiting anxiously for the rest to come into my library. I love LIFE too. So many good books! 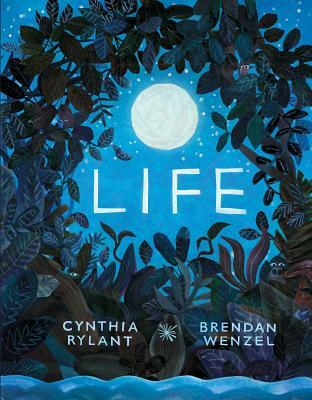 And Brendan Wenzel's illustrations are divine! Wonderful choices for Big Concepts. Thank you. I loved your mentor texts, Marcie. Thanks for introducing me to some new ones, also! Great post. Thank you! And many thanks to you for all of your hard work on ReFoReMo! Thanks for putting together such a great list of mentor texts! Marcie, you noted some of my favorite pictures books that have recently come out. I'm excited to check out the rest! Thanks for your insight into all of them. I appreciate that these are complex concept books done so brilliantly. These are wonderful books and so badly needed in this world. Thank you! Yes! 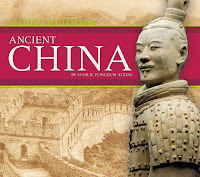 I'm finding, as a librarian, that teachers are need of these types of books. They are great for springboarding discussions. Great bunch of books - and ones I wouldn't normally think of as "concept" books. 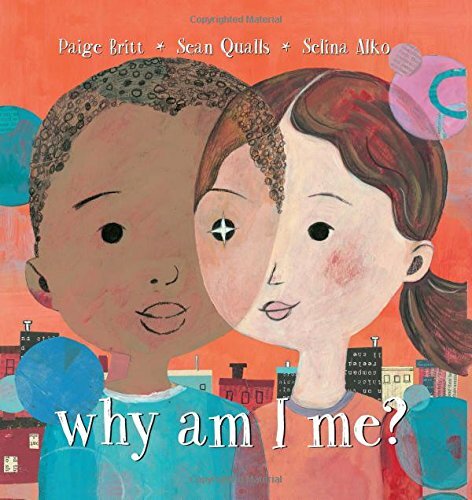 These are pretty abstract concepts (peace, kindness, courage) and yet the books you shared with us help make them concrete and show ways we all can incorporate kind, peaceful, courageous concepts into our daily lives. Thank you. They are for sure abstract. I love how these writers all used specificity. Fantastic choices! Thanks for sharing! Fascinating list of concept books that are taking on "complex" topics for a PB audience. Thanks, Marcie! Love these books! How simply powerful and powerfully simple! Thanks for these recommendations to study. Positively highlighting the world is a force for change! I am looking forward to seeing how the authors handled these concepts. Terrific post, thank you. I love concept books, and these all look wonderful. My library didn't have any on the list for today, but I will search them out as they all look like terrific learning tools and great books. They are all so good. Maybe a cup of coffee in a B&N will let you peruse them? What a great collection! It's helpful to see these together as concept books, and to understand why that's the case. It seems that we're seeing more of these important books considered lately. I agree. There are so many out there. Much more than I could post about. And so many came out right after my deadline. So I have several more on my TBR list. Thanks, Marcie, for this selection of 'different' concept books. I must admit, as a writer, these inspire me more than the basic style of concept books! Some truly wonderful (and new to me) book choices! Thanks, Marcie! I haven't tried writing a concept book yet, but this post is making me think more about what themes I might want to tackle. Thank you for your insights on this topic! I love the expansion of concept books into meaningful topics for older kids. Thank you for sharing more about this! Great books and a great prize! These are great examples of concept books that go beyond the typical ABC, colors, etc ones most think of when they hear "concept book." I love the language they all have and, as you also pointed out, how they leave room for the illustrator. Thank you for the suggestions! It's amazing how, when done well, few words and the right illos can be so powerful. Thanks for sharing these great concepts, Marcie. Thank you for introducing us to new concept books longer than board books. I loved Dear Girl. These are wonderful. I love how the language and the illustrations combine to make something bigger than both. Thanks for the inspiration. Thank you, Marcie for such a great list and theme. Concept books are some of my favorite to write and read and I’m excited to see that the genre is expanding. LIFE and DEAR GIRL are both beautiful examples. I look forward to studying the rest and checking out your website. Thank so much! Oh, Marcie, thank you for your list of commonalities. You've given us a great class in dissecting picture books and really seeing the whole picture. Wow and wow. A bonus post and great mentor books. really good selections. this helped me to better focus on concept ideas. These authors make these big themed writings seem so effortless. But, we all know how difficult it is to get it right. Thank you for these titles! These are so inspiring. 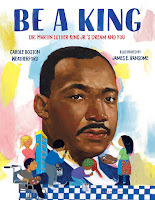 Be a King has some really great messages that all kids (and us) can really learn from. These newer kinds of concept books are inspiring and helpful. I have written one of these myself...you've chosen a great list of mentor texts! Thank you, Marcie, for offering such a broad list of these types of concept books. I don't read enough of them, and clearly I should. Thank you Marcie! I especially appreciate your breaking down the commonalities you found in these newer concept books - it makes a great checklist for our own manuscripts! I'm inspired! Thank you for the insightful post and the many mentor text ideas. These books are becoming more and more important in this complicated world! I'm typically not a huge fan of these kind, maybe because my 6 year old never likes them, but we both love LOVE IS... and LOVELY. I think it's tricky to make these high-concept books have kid appeal--those two nailed it. Thanks! I love the idea of concept books that address more difficult themes. Thanks, Marcie, for sharing these mentor texts. Thank you for these wonderful books. 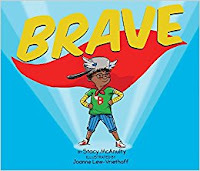 I especially love the book "Brave" and how it shows how kids can be brave "super" heroes in their own lives, just by doing small but important things -- recycling, standing up to a bully, helping a sibling find something in the dark, etc. Such a beautiful and important message. Thanks, Marcie, for bringing these big concept books to our attention, and sharing the commonalities you found. I especially loved Dear Girl and Love Is. Thanks for giving us great examples of deep concept. What a reading list! Thank you! So much food for thought. So many great books. Thanks for this wonderfully curated list. Marcie, this was a great list of mentor texts. I appreciate the stories that give out truth and advice without appearing preachy! This post really got me thinking about how to tackle big concepts. Thank you, Marcie, for these excellent mentor text suggestions. I think I'm going to type a few of these up! These are wonderful, Marcie. Little books can do such big things. I have only read two of the books on this list - before today - and they are two of my favorites. I'm so excited to dive into the rest. Thanks for sharing. Thank you, Marcie, for a great list of books that are so powerful! These are wonderful books! Thank you, Marcie! These are very powerful texts and concepts, Marcie. Thank you so much for introducing me to a few I had never seen before. This is an interesting category of books. I used to teach elementary school and I could definitely imagine using them in the classroom. simplest of ideas, hardest to do. Thank you, Marcie, for these titles which expand the concept thought. I enjoyed reading these books. Thank you, Marcie for these titles and information about how these new concepts are being approached! Great selection, Marcie. Thank you! Thank you, Marcie. This is EXACTLY what I needed as I wrestle with a new ms. Thank you for the new take on concept books! A great list! Marcie, thank you for the wonderful selection of books. I wish I could have found them all. Thank you once again! These are great, Marcie. Thank you. Leaving room for the illustrator is something that I have been trying to work on, so this post was really helpful. Thank you for bringing this type of concept book to our attention. I'm looking forward to reading them all. I have learned so much about mentor texts these past few weeks. Greatly appreciate your time. Marcie, thank you for thinking deeply about picture books and sharing them with us. These are all important concepts for kids to begin to understand. Some really beautiful books on today's list. Thank you. Thanks for sharing some beautiful and important books! I appreciate you highlighting some of the commonalities to look for in these books, and I look forward to finding the ones I haven't read yet. I wonder if editors are more open to receiving concept books from established writers than from newcomers. I think that could definitely be the case. I read many more books in preparation for this post, and the majority (though not all) of them were from well-established authors. Hm, some of these books feel didactic. Which I don't necessarily oppose but have been told to avoid. Also some I would have thought may be considered something for a magazine rather than a PB. I wonder what differentiates these to make them more PB material. It's definitely a fine line on didactic vs. not (and not a very well-defined one either). I honestly think that the time is also right for these. Many of these are poems that are illustrated. I think the key is that in all of these they are heavily illustration dependent (something that is not true of magazine pieces). Concept books are pretty straight-forward, Michele. They are not intended to have a hidden underlying message like a traditionally plotted book might have. Yes! Carrie, good point. However, there are some books that have a story line like "Be Kind" and "Come with Me" that the message is still pretty strong even though it's wrapped in story. These writers handle it well, in my opinion. However, I still feel like the majority of our picture books shouldn't be preachy. Kids need to laugh and just enjoy a great story at times too. I still stand by the idea that the the "time is right" for these books based on what is happening. The mentor texts that I specifically selected were not wrapped in story really (though the narrative is often in the illustrations here). So, like Carrie said, it's clear from the beginning that the message is going to be front and center in these books. When my kids were little they always picked a book called "Obedience" that I picked up at a library sale and they always loved. Go figure. Love the idea of a new type of concept book for intangible subjects. Great choice of mentor texts, I'll be happily reading in the corner if anyone wants me. Perfect timing, Marcie. I've been working on a lot of concept books lately. They just come to me. Interesting to read that my books fit your descriptions. Thank you, and wishing you continued success with your books. Marcie: THANK YOU for this WONDERFUL collection of examples! It is BEAUITFUL that there are now concept books about such topics as love, peace, hope, etc. It is a sad truth that we need these books in our day, but SUCH A BLESSING to have them in order to imbue our children and our world with their lessons. I LOVE how "each [book example] offers hope in a complicated world." Thanks Marcie! Several of these titles are new to me and so intriguing. There's so much to think about and consider. Thank you for this post. Great post! 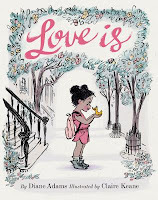 My daughter really enjoys Dear Girl, Love is, and Brave. I personally liked Life and need to check the rest of this wonderful list, thank you! Really interesting post, Marcie! Thanks for expanding my horizons about big ideas and concepts. Great books. Add Kindness by Pat Zeitlow Miller to this list. I appreciated the expanded definition of concept books. Each of the books highlighted in the post was powerful in more than one way, yet each was written with few words. Great mentor texts to analyze and study! I especially appreciated Lovely. Thanks for the inspiration! Thank you for this list of deep concept books. I like how the simple story of Love Is can be read on two different levels. Thank you for this wonderful list of 'themed' concept books. Thanks, Marcie. I love that these deeper books are finding an audience. I love these books! Beautiful, inspiring, and reassuring. I have to share them with my first grader. I am happy to see that most are by separate writers and illustrators. I will have to give this kind of book a try. Thanks! Great post today! These are wonderful concept books for today’s world. Thanks! Fabulous selection, and my concept of concept books has been turned on its head. Wow! Thank you, Marcie, for this wonderful list of concept books. I haven’t read them all yet, but hope to do so this week. I appreciated you sharing a description of each book and also giving us a list of their commonalities. I will refer back to this post as I may attempt to write this type of book in the future. 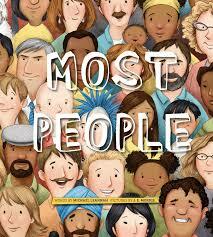 Loved Most People. Although saying the same thing forever, had not seen it done so beautifully in a book. I like the observations you made about these particular "new" types of concept books. Thank you for the list of commonalities they shared. 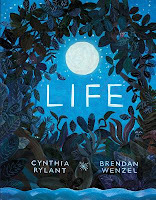 LIFE By Cynthia Rylant struck an emotional chord in me. Thanks for your suggestions and discussion, Marcie! I'm really looking forward to reading these. Your descriptions will help me with those I found -- and with those I wasn't able to find. I've been noticing more of these themes in concept books, as well. This was my first time reading LIFE. How lovely! Thanks for showing us what "Concept Books" mean in today's picture book market. Thought-provoking post. Thanks! I look forward to reading these books when my library gets them shipped in via inter-library loan. Do you remember the tiny Holly Hobby books, like Love Is? My students were quick to add there own endings to that refrain. Love by Matt De la Pena is a much more sophisticated work in this vein which includes a story arc. Yes, I do remember the Holly Hobby books. Love by Matt de la Pena is definitely getting a lot of buzz. I've read it and shared with with my Teachers as Readers group. I wanted to share books that maybe haven't gotten as much publicity. Additionally, I know a number of people that were bothered by the way women were depicted in that book as well as the domestic abuse scene. Others absolutely "loved" it. If you are considering writing a deep concept book, I would recommend looking at it though as a potential mentor text. Thank you for this meaningful post! We do think of concept books as being for the very young reader. This post is thought-provoking, especially since my writing focuses on more serious topics. Thank you for introducing us to these mentor texts and for a very educational post! I always think of concept books as being board books. Thanks for clarifying. Can't wait to read these! My library didn't have your entire list, but I'm going to make purchase suggestions for a few of them. What a wonderful list of books to read to children in today's political climate. Thank you! What a great list, Marcie. I especially appreciate your insight on what they all have in common. Thanks for this post. It was a great opportunity to look at some concept books in a different way. Love the list of books to read. Excellent list, Marcie. Thanks for sharing and also for breaking down the commonalities. 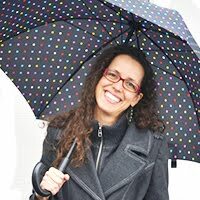 Marcie, thank you for a great list of concept books and traits. I've read a couple and cannot wait to read the rest. Thanks for this comprehensive list, Marcie. It gives me lots to think about in terms of art notes and when/if a strong story arc is needed. We own PEACE IS AN OFFERING and read it often, and I like the way its message overlaps with themes from the book COME WITH ME that we read earlier this month for ReFoReMo. I love COME WITH ME! It didn't fit my overall theme for the list as it actually has more of a story. However, it was on my large list of books that I looked at initially. I have that one in my library and have shared it in my Teachers as Readers group. Wow, great examples. Thank you for bringing these up! I love these recommendations, Marcie. Can't wait to read them. Thank you! One of my new drafts this month is a concept book and after reading these, I realize I want more "magic" in my words vs text. So timely! I wish DEAR GIRL was here when I raised my daughter. I loved how all these books tackled big topics in such an eloquent and inspiring way. Reading Be A King and Peace is an Offering back to back made me want to go out and change the world in both large and small ways. My girls and I fell in love with LOVE IS. I was taken by how the words told one story and the pictures told another, but together they made something so beautiful. Thank you for sharing. I have an idea for a personal manuscript that reminds me a lot of several of the books you've included here. This list will serve me so well, as I continue to conceptualize it and begin writing. Thanks! Sorry a day late but these are absolutely wonderful! I just got them from my library today (most of them anyway). Love is was amazing but my favourites are Dear Girl and Life. I never thought of an older concept book but you are right those few words are able to share such a deep meaning, especially with the pictures added in. Thank you for a great post! Thank you for this wonderful selection. They are the kind of books I aspire to write! 'You hold me up' and 'Why am I me?' were my favourites! Very true- there have been a lot on concept books like this coming out. Thanks for suggesting these and looking at their commonalities. Lovely selections. I look forward to taking a closer look. Thank you for compiling this list. Dear Girl won my heart with its personal-note style. Loved it! Thank you for your great list of books. This type of concept book is neat. I enjoy reading them. Loved Dear Girl and Love Is! Looking forward to reading the others on your list! Thank you for these fantastic suggestions. Such beautiful and powerful books. Thank you for your thoughtful post. I love concept books. Your selections are all new to me. I look forward to reading them. On my blog at RindaBeach.com, I dedicated today's books/post to my social workers Allison and Jessica. They helped me and my 2nd graders mine those deep and difficult concepts. Thanks for reminding me of some great times! Marcie, Thanks for this excellent selection of books to help young minds grapple with big concepts. Thanks for this post full of in great information! Thanks for sharing your list of insights on concept books, Marcie! Very thoughtful post about concept books. Thanks, Marcie! The list of commonalities is extremely helpful. I'm not familiar with any of these complex concept books. Thank you for helping me deepen my appreciation for concept books with intangible ideas. I think of these books, Most People is the one that I needed to read the most. It's easy to get caught up in the negative actions of one or two people and forget that most people want to help each other. It was definitely a needed and comforting reminder in my everyday life. 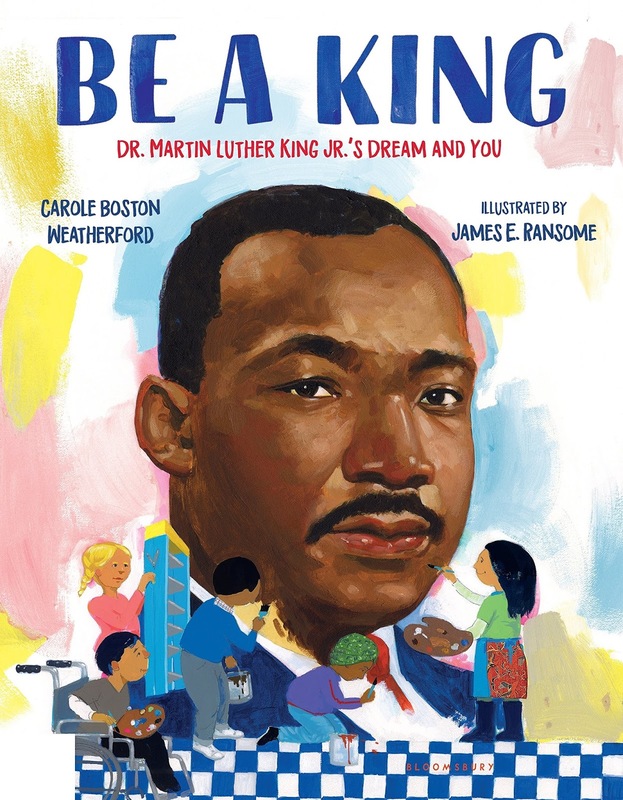 In Be A King, I loved how the author and illustrator would flip back and forth between Martin Luther King Jr.'s life and how the kids could enact his principles in their own day-to-day life. They layered his message on top of real life applications. For example, after the boy in the wheelchair realized he couldn't reach the spot on the wall where the kids were painting, he decided to bake muffins; everyone can contribute something for the greater good. Dear Girl felt like a mother giving her daughter advice from years of experience growing up and going through what this girl will inevitably go through as well. It was heartfelt; I could see this book being a cherished hand-me-down through generations. Concept picture books for older readers are great to present complex ideas in a concrete manner. Thanks for your sharing your reading list, Marcie. Looking forward to reading some for the first time and rereading others. Oh! That's interesting to think of concept books as more than just ABC's/colors. LOVE IS made me all weepy. Deep concept books are not only wonderful to read but lead to great discussions with children. These are topics they might not bring up. Thanks for a great list. 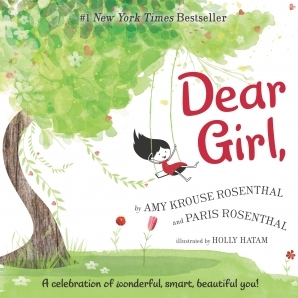 Dear Girl is a favorite and I just bought it for a baby shower gift. Thanks for sharing these deep concept books. This is an excellent post and great list of mentor texts. I had read many of these and wasn't sure how to classify them. Deep concept is perfect! LOVE IS is one of my favorites this month and I can't wait to read DEAR GIRL and BE A KING and YOU HOLD ME UP. What a great list of mentor texts. Thank you. I love the idea of concept books for older readers. Thanks for the great list! thanks for the insight into deeper concept books. I never really thought about these types as "concept" books but after your post, makes sense. I had never given much thought to "deep concept" books before, but I thoroughly enjoyed these. Thank you for the "lovely" suggestions! These titles made me really pause to soak in the message and demanded that I take a look at how they will affect my life. And yet they also take those big themes and make them accessible to young people as well. My favorite is Why am I Me? by Paige Britt. I've had the pleasure of hearing her speak about this book and she is truly inspiring! Thanks for your list of common features of concept books. My big challenge is making big ideas accessible to young readers. I am playing catch up before a new week begins! The harmony between text and illustrations in "Brave" was so poignant. The "toughest battles" page went right through to my soul! So beautiful! "Dear Girl" is just so relevant in todays world. Beautiful message for our girls! I know a few adults who could benefit from reading this book! "Peace is an offering" was so poetic. I loved the line, "will you sing to the sun to dry my tears". A story full of lessons in contentment, mindfulness & thoughtfulness. Such important traits for our young to cultivate. This book list is beautiful. These were all new to me, and the amount of heart in these books are wonderful. 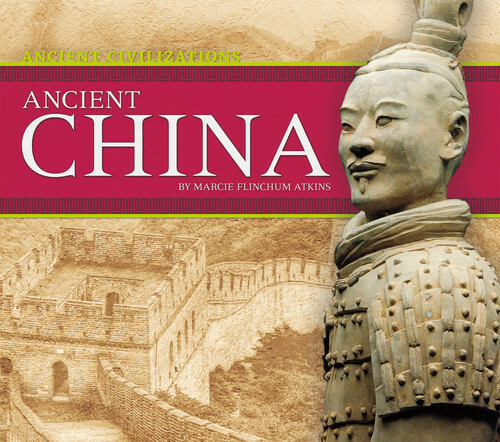 Great exercise, to study these books as text-only. I will be spending some time on that soon. Thank you! Reading "Why am I Me" brought me back to my young self when I was just becoming aware that I was my own person and everyone else was a different person with their own thoughts and self will. So profound a thing to wonder about. What great conversations could be started by this book! Thank you for expanding my understanding of concept books. I look forward to reading your selections. LOVE IS is so good. Thank you for giving us multiple ways to study the titles. Very helpful! This has been a great post to help me better understand concept books. Thanks so much! It is so beautiful when huge issues are tackled so elegantly in words and pictures. These are the kinds of books that take your breath away and stay with you long after you've read them. Thank you! It has been so inspiring to read these empowering books and so many others that have come out recently! As a Canadian, I particularly appreciated You Hold Me Up. Matt De la Peña´s book, Love, falls into this category, I believe. It´s a beautiful book I read recently. I want to read more of these type of books. Interesting post.